This is a vintage piece of ceramic or pottery from the 1980's, shaped into a beautiful and sleek flower pedal. 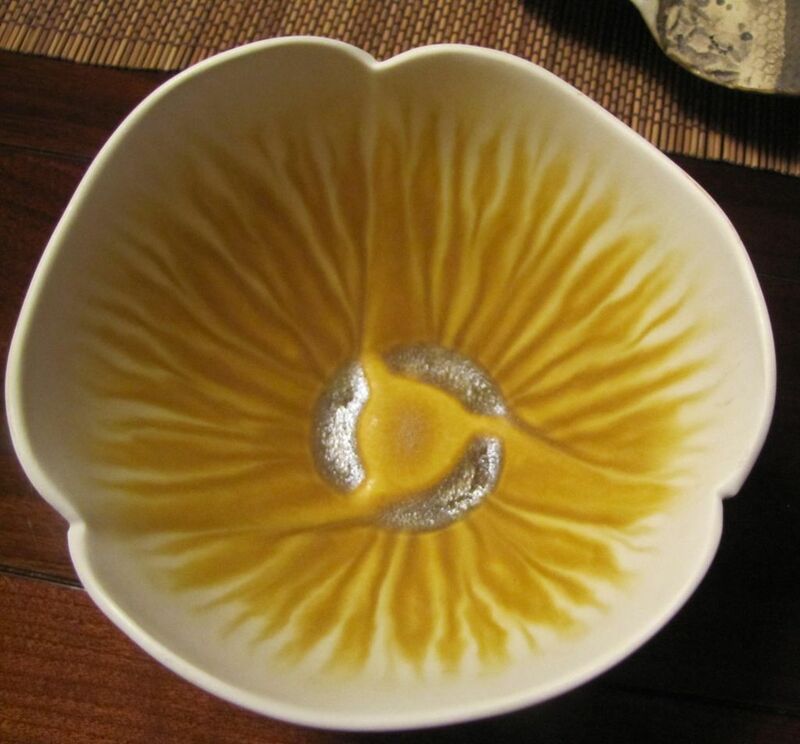 It has a very nice glaze and is attractive on the inside as well as the outside. The artist's signature, Newman,and logo of an N is inscribed onto the bottom. 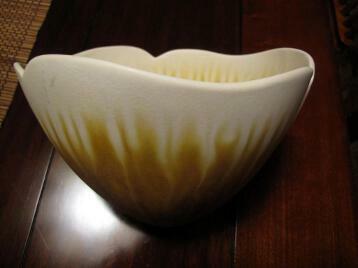 It stands 5" high and measures 6 1/2" in diameter and could be used as a bowl or vase. 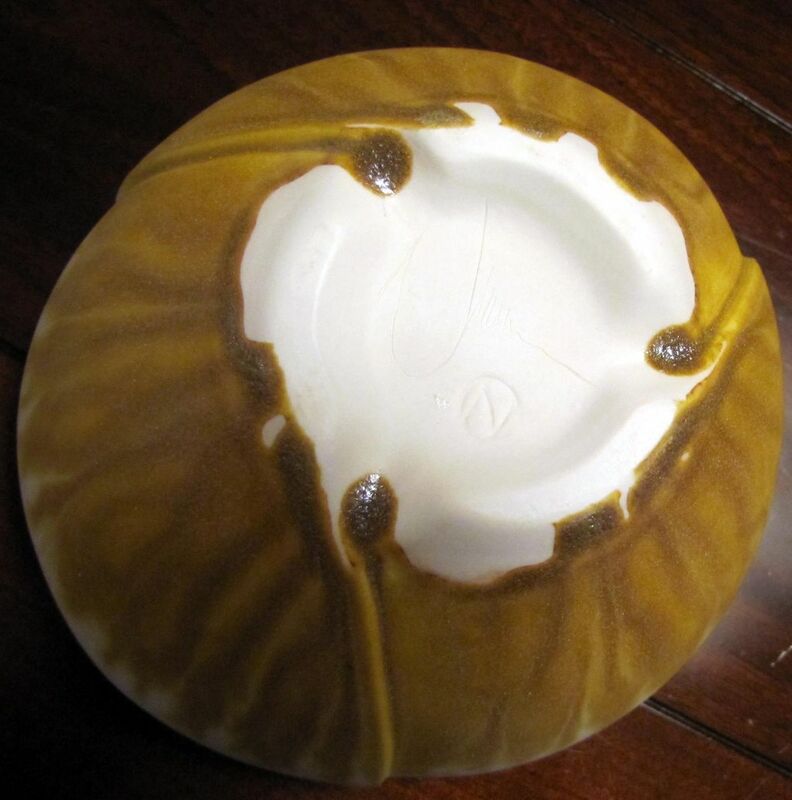 I was in touch with the ceramic artists' Brenda Newman and was told this piece was from the 1980's and is now one of their retired pieces. A very nicely made bowl.